There's a volunteer opportunity for everyone! It’s National Volunteer Week and we are celebrating “all-things-volunteer” here at Compassion Canada! Did you know that there are over 1500 Compassion volunteers across the country? They show us that living compassionately can reorient our lives and affect the way we spend not only our money, but our time, too! We are thankful for each person who gives their time to help release children from poverty in Jesus’ name. In celebration of this week, we want to share a few of the many ways people volunteer with Compassion. 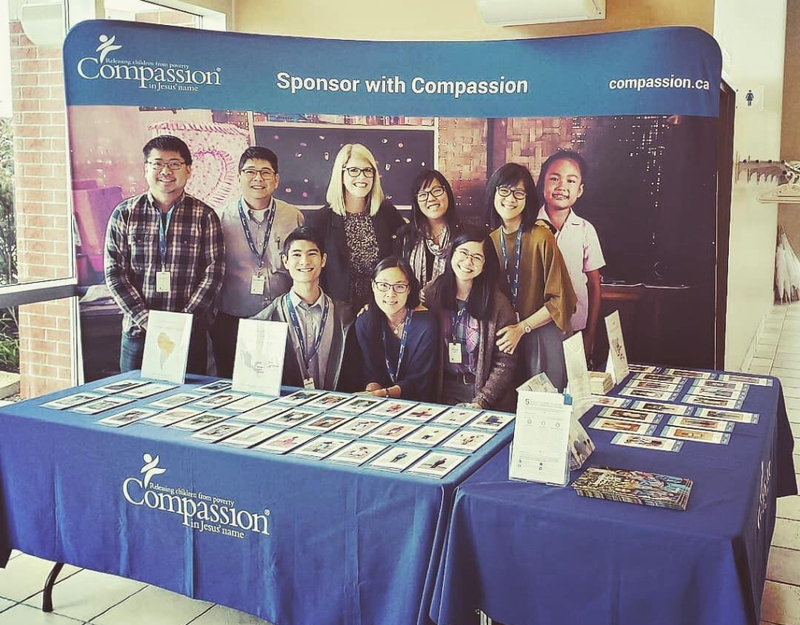 Volunteers at the Compassion table with President Elect Allison Alley at a recent church event in Markham, ON. If you’ve sponsored a Compassion child at a church service or event, you probably had a smiling Compassion volunteer help you choose a child and fill out the paperwork to get your sponsorship started. They probably also answered some of your questions before you made the decision to sponsor. Every weekend, Compassion’s ministry is presented at churches, concerts, conferences and other events. When people have questions or are ready to sponsor, our team of volunteers is ready to help. They are passionate about seeing as many children as possible connected with caring sponsors. Our event volunteers make up a vibrant community—and many beautiful friendships have formed out of seeing each other regularly at events and working together behind many Compassion tables! 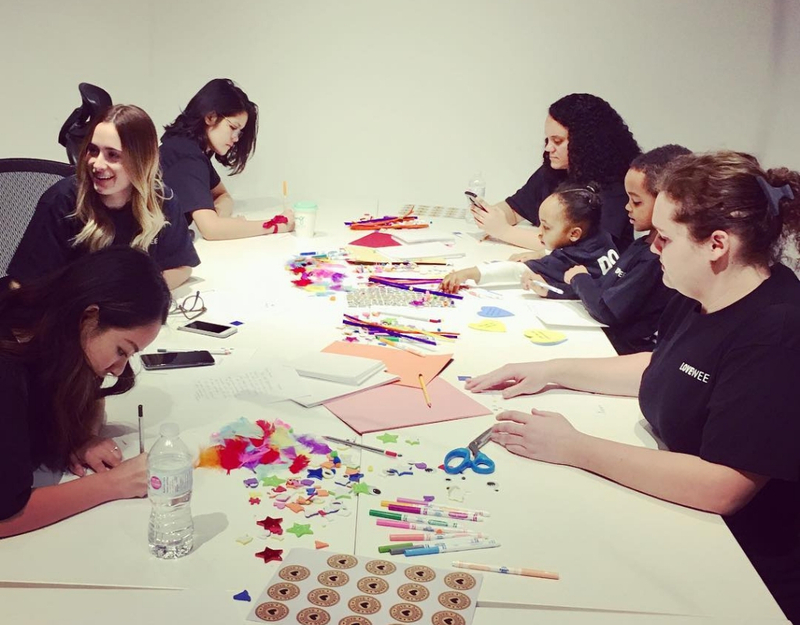 For those of you who sponsor a child, we hope that the experience has impacted you in a powerful way—and we hope that you feel compelled to share about it! That’s what Raquel did. She gathered a group of friends in her home to share how sponsoring Hernan from Colombia has impacted her life! Raquel shares Compassion with her friends in her living room. 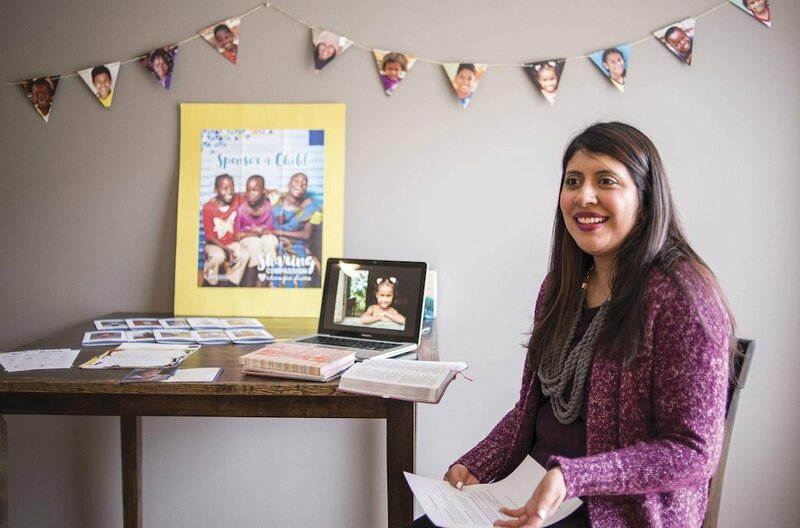 Sponsors across the country volunteer with Compassion by sharing their sponsorship experience on social media, with their small group, or in everyday conversations! You never know when a particular post, presentation or conversation might spark a life-changing decision—for your friends and for a child living in poverty. Children in Compassion’s programs around the world love receiving letters from their sponsors! But before that can happen, letters need to be processed at our head office in London, ON. That’s where our volunteers come in! Harry at our head office in London, ON. One of those volunteers is Harry Finnis, who has been a sponsor with Compassion since 1970! 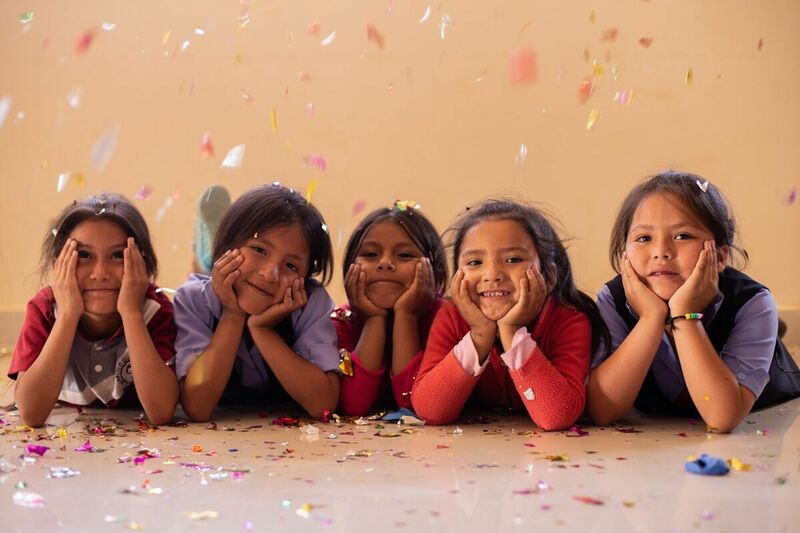 For a variety of reasons, some individuals or groups who provide financial support for sponsorship are unable to write letters to the children they sponsor. Because letters are so important to our kids, we invite volunteers to write to these children instead. Make letter writing even more fun by organizing a letter writing party—complete with stickers, markers and colourful paper! We recognize it can be hard to know what to write to a child living in a totally different country and context from you. That’s why we’ve put some letter writing tips and templates together, just for you! View letter writing tips and templates! Writing letters might seem like a small action, but the children on the receiving end cherish those words. For many, letters are just the encouragement they need to stay in school, seek Christian mentorship or engage deeper with their church community. Three cheers for our volunteers! You are inspiring, generous and make the world a better place. Compassion truly wouldn’t be what it is without you. Do any of these volunteer opportunities stand out to you? Join our dynamic volunteer team today!